Since 1998, Tom has been the managing attorney of the Beasley Allen Law Firm. When he became managing attorney, he organized the firm into sections based on case type. This is very common in law firms today but was unusual at that time. It has allowed our lawyers to concentrate in certain areas and to be on the cutting edge in their legal fields. He led Beasley Allen to become a national powerhouse in providing legal advice and representation to victims of wrong doing. Tom was born in Eufaula, Alabama, in 1963. Tom graduated from the University of Alabama with a degree in corporate finance. He then earned his law degree in 1988 from Cumberland School of Law in Birmingham, Alabama. He began his legal career at Beasley Allen that same year. Tom’s family has served as lawyers, judges and other elected officials in Alabama for over 200 years. He always knew he wanted to be an attorney. From a very early age, Tom has had a heart for those whom the Bible calls “the least of these.” Tom’s father was a great influence in this area. Tom remembers his father stating, “One of the worst things someone can do is to take advantage of the illiterate, the ignorant or the uneducated.” With that in mind, Tom began his legal career at Beasley Allen representing victims of consumer fraud, many of whom were illiterate or uneducated. Tom was the lead lawyer in a landmark predatory lending case involving a door-to-door sales and finance scam. The verdict of $581 million is the largest predatory lending verdict in American history. Consumer advocates hailed this verdict because as a result of this litigation, the defendant finance company shut down its business in the state of Alabama. He was also co-counsel in other consumer fraud cases resulting in verdicts of $50 million, $45 million, $34.5 million, $25.4 million and $15 million. Tom has tried a total of 13 cases that have resulted in verdicts in excess of $1 million. Tom is a Martindale-Hubbell AV Preeminent Rated attorney. Since 2006, he has been selected yearly for inclusion on the Best Lawyers in America list, and he has been selected to Alabama Super Lawyers from 2008 to 2014. He was also named the Best Lawyers 2014 Montgomery Mass Tort Litigation / Class Actions – Plaintiffs Lawyer of the Year. Tom also is included on the Chambers USA Leading Lawyers list for 2010. In July of 2007, Tom was featured in Fortune Magazine as one of America’s Premier Lawyers and was featured in Business Alabama Magazine. Also in 2007, Tom was chosen by Birmingham Magazine as one of the Best Lawyers in Alabama in the field of personal injury and mass torts. In 2002, Tom was selected by the National Law Journal as one of the Top 40 Litigators in the country under the age of 40. Tom also was named by the Montgomery Advertiser as one of the “Top 40 under 40,” which is a list of the top 40 business leaders in Central Alabama under the age of 40. Tom has been an active member of the Alabama State Bar Association, serving on the Board of Bar Commissioners for nine years and the Executive Council for two years. He became president of the Alabama State Bar in July 2009, where he served through July 2010. While bar president, Tom focused on Access to Justice and increasing pro bono services to those in need. 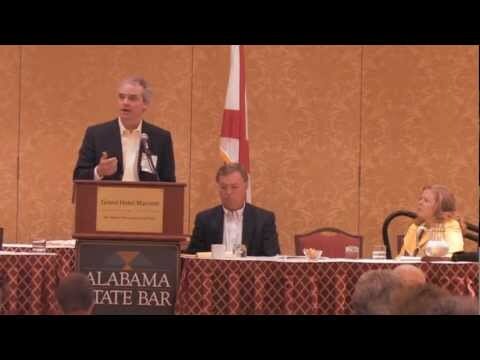 Tom is a fellow in the Alabama Law Foundation, which promotes access to justice for the poor. He is a former member of the Finance Committee for the Access to Justice Commission, which was founded by the Chief Justice of the Alabama Supreme Court to find new ways to provide access to justice for the poor in Alabama. In 2014, Tom was presented with the Harold Albritton Pro Bono Leadership Award, which honors individuals who through their leadership and commitment have enhanced the human dignity of others by improving pro bono services to our state’s poor and disadvantaged. In 2009, Tom was selected as a Fellow in the American Bar Foundation. This is an honorary organization of lawyers, judges and legal scholars whose public and private careers have demonstrated outstanding dedication to the welfare of their communities and to the highest principles of the legal profession. Fellows are nominated by their peers. Also in 2009, the Montgomery County Bar Association (MCBA) established the Thomas J. Methvin Volunteer Lawyer of the Year Award. The award was named in honor of Tom for his dedication to providing pro bono legal services to the less fortunate in our community and for his leadership and advocacy in this area. It annually recognizes an MCBA lawyer who devotes significant time and energy to providing pro bono service to the less fortunate and providing leadership within the VLP community. 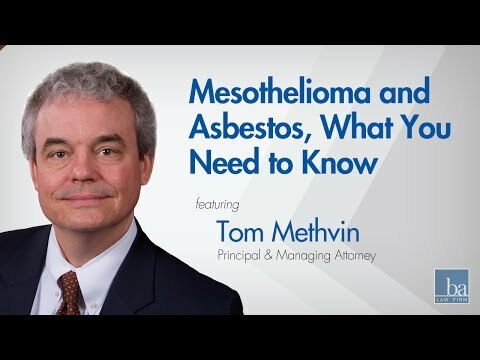 Tom is a former President of the MCBA (1996); a former member of the Board of the Montgomery County Bar Foundation, which oversees the Montgomery County Bar Volunteer Lawyers Program; and a former President of the Montgomery County Association for Justice (1996). He is currently a mentor for young lawyers in the Montgomery County Bar Mentor Program, a member of the Alabama Association for Justice, a member of the Cumberland Law School Advisory Board and president of the Montgomery Cumberland Law School Club. Tom is a national spokesman for the rights of consumers and the law that applies to their rights. He has appeared on “Good Morning America,” “The O’Reilly Factor,” and on all the major networks to discuss these issues. He also has appeared in numerous publications, including The New York Times, The Wall Street Journal, Business Week Magazine and Fortune Magazine. Tom is a member of the Alabama Alumni Association, the Montgomery-Lowndes County Chapter of the Alabama Alumni Association and the Capital City Crimson Tide club. Tom is also president of the local chapter of the Commerce Executives Society, which promotes the interest of the University of Alabama Business School. Tom is past president of the Board of Directors for Brantwood Children’s Home, a home for abused and neglected children, and still active in support of the organization and the children it serves. He continues to act as a mentor to a young man who is a former resident of Brantwood Children’s Home. He also serves on the Board of Directors of Children’s Hope ministry in Haiti, which operates a children’s home, a medical clinic and other missionary outreach in that country. He previously served on the Cystic Fibrosis Advisory Panel, which helps fight this terrible disease. In 2009, he received the Sheena Diane Ayers Humanitarian Award for his longtime service and support for the Cystic Fibrosis Foundation. In 2014, Tom was selected as the March of Dimes Citizen of the Year. He also is a member of the River Region United Way Tocqueville Society and is a former member of the United Way Campaign Cabinet. Tom currently serves on the Board of Directors for the Montgomery Area Chamber of Commerce and is a graduate of Leadership Alabama Class XVIII.